Walter Mischel is a 84 year old professor at Columbia University. 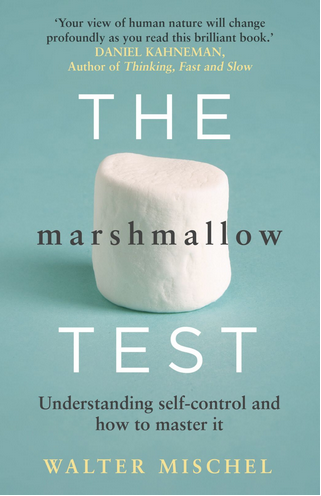 He is the author of a fascinating new book called The Marshmallow test. Mischel became known at the end of the 1960s, mainly through his publications about two topics. The first topic was the degree to which situations influence human behavior. He did research which showed that the idea that people have stable personality traits which cause us to behave consistently over many situations is largely a myth. Instead, he demonstrated, we tend to behave quite differently in different contexts. Thus, characteristics of situations have a significant influence on how we behave. The second topic was self-control. Together with colleagues he did much research into the causes and consequences of self-control, in particular with regard to how children manage to delay gratification. The series of experiments which these researchers did have become know under the popular name of the Marshmallow test, hence the book title. The book begins with a details description of the marshmallow experiments. Mischel shows how the ability of children to delay gratification and resist temptation has great implications for how their lives proceed. Children who were more able to delay gratification, on average had more successful and happier lives than children who were worse a delay gratification. Mischel emphasizes that this willpower is not a predetermined and fixed characteristic of people but a learnable skill. He explains that through relatively easy and learnable techniques we can learn to not respond in an emotional and uncontrolled manner but in a wise and controlled manner. In case you should wonder, Mischel did not get stuck in the '60s and '70s at all. The book proves that he remained very involved and up-to-date in current research in psychology and neuroscience.